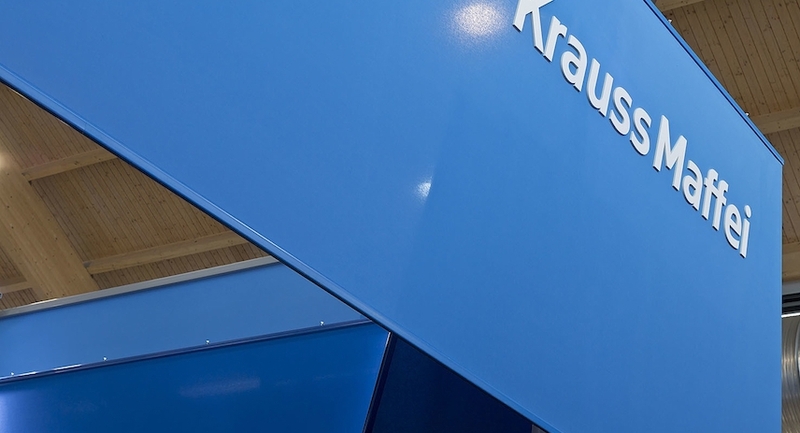 The corporate worldwide modular exhibition design for the KraussMaffei Group was based on the 2012 new Corporate Identity of KraussMaffei, with its especially appealing fresh and communicative tone. 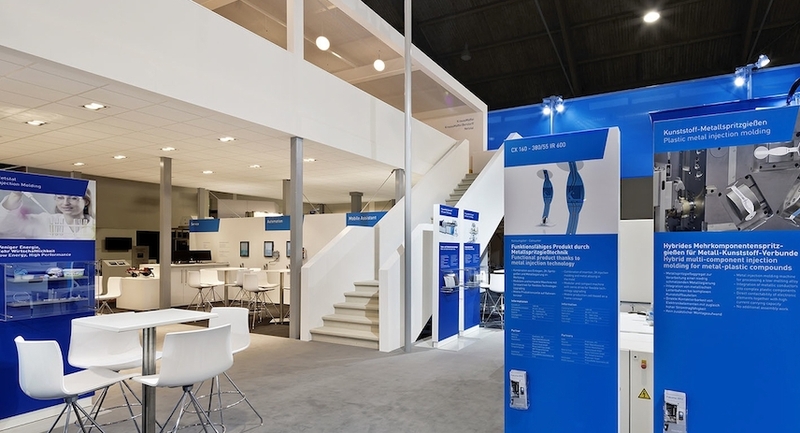 Clear colors, straight forms and a strong human picture language. 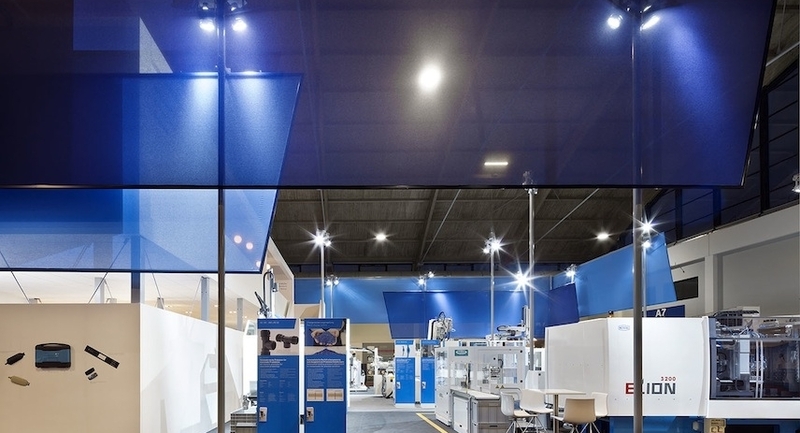 The goal was to visualize this worldwide leading company of machinery and systems for producing and processing plastics and rubber with their brands, the connected knowledge and human factor. 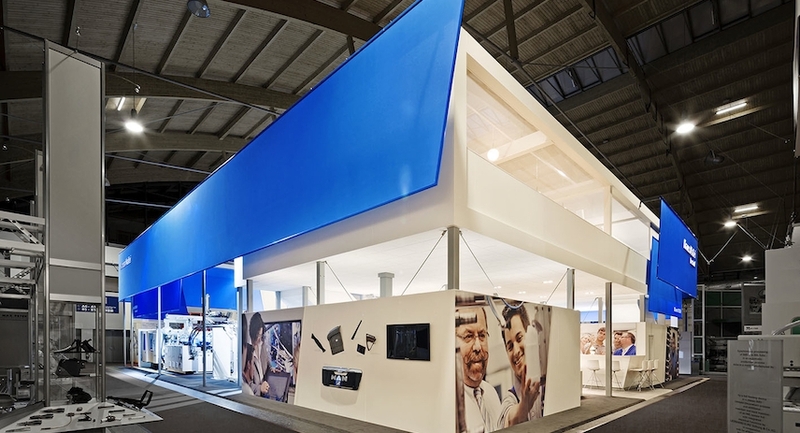 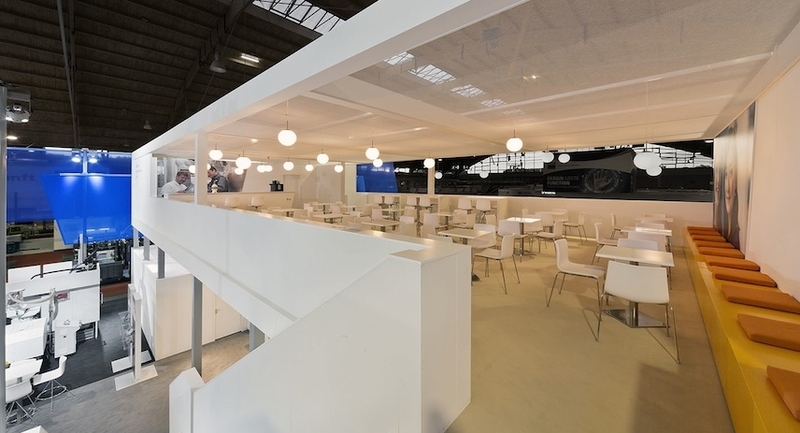 The stand architecture depicts monumental fabric banners in the three CI-colors, presenting the three main Group companies. 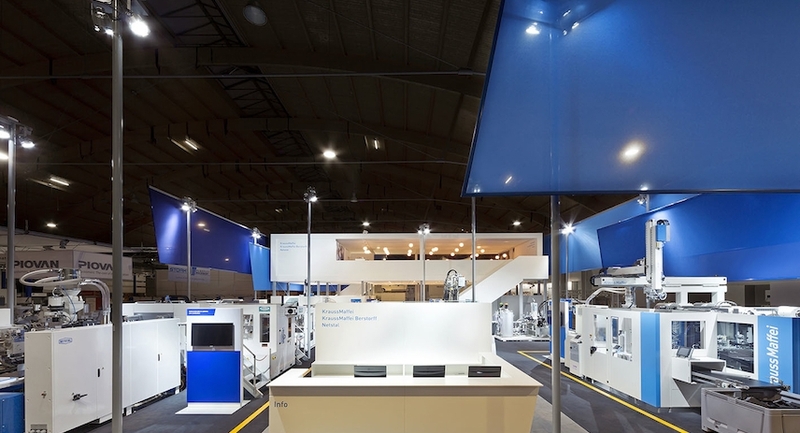 The banners build a wrapping of the stand surface in different layers. 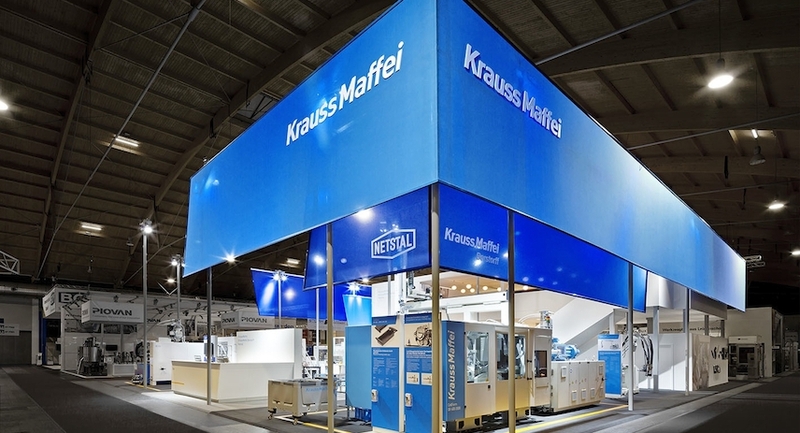 These connect, emphasize and create an ensemble - the KraussMaffei Group. 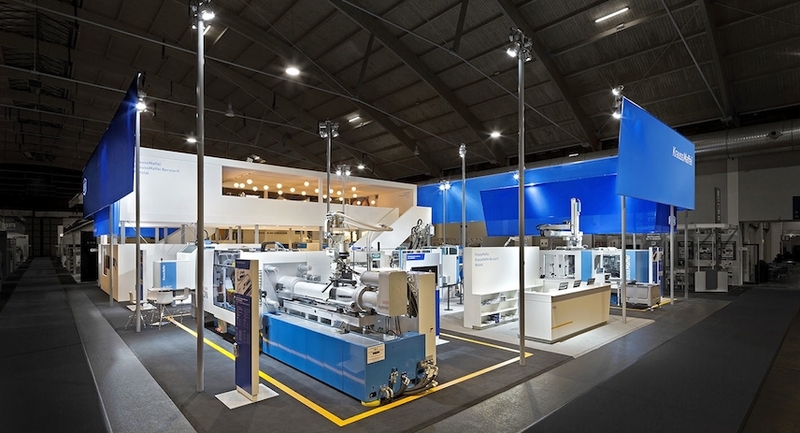 The concept was launched at Fakuma 2012 and extralarge at the K 2013, and has been applied worldwide since then.